Established as a developer of choice in Singapore, Soilbuild has now expanded its presence into Myanmar with its maiden premium high-rise residential project, Rosehill Residences. Developed through a joint venture entity, Rose Hill Soilbuild Co., Ltd, the project epitomizes a synergy of the experiences of local businessmen with the development expertise of Soilbuild. plans to tap on the growing consumer markets of Myanmar with the launch of its first residential development project by end 2015. Working with a strong local partner, Rose Hill Co., Ltd, Soilbuild will market its 176-unit residential project with typical room sizes ranging from 1,800 to 2,200 square feet. 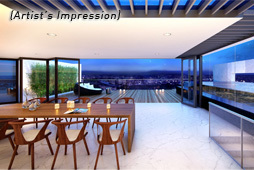 The maiden premium high-rise residential project, Rosehill Residences, is targeted at the discerning real estate buyers in Yangon. Soilbuild Group hopes to leverage on the contacts and experience derived from the recent partnerships and projects to further explore other construction and development opportunities in the country. The strong financial position of Soilbuild as well as its reputation as an established and reliable property developer and owner of high quality real estate portfolio put Soilbuild Group in a good position to capitalise on further opportunities in Myanmar. 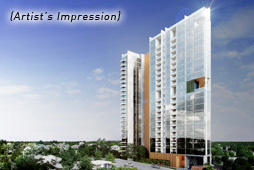 Contemporary architecture, with spacious rooms at a distinct location along Kabar Aye Pagoda Road. 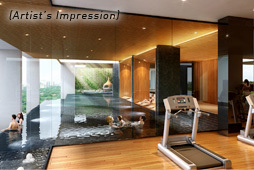 It is designed and will be built by Singapore’s renowned & award-winning integrated property developer with close to 40 years of experience in development and construction capabilities; to be on par with Singapore’s premium residential standard. 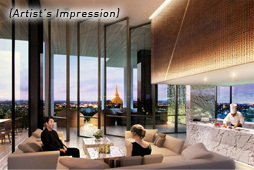 This outstanding 24-storey city development will pave the way in raising the benchmark of luxury living in Yangon. A joint venture development between Soilbuild Group Holdings Ltd. and its local joint venture partner, Rose Hill Co., Ltd, which is made up by 7 veteran businessmen who contributed the private grant land with perpetually renewable land tenure, the project epitomizes a synergy of the experiences of local businessmen with the development expertise of Soilbuild Group. The development has obtained the Myanmar Investment Commission (MIC) approval, one of the first of its kind in Yangon for an international joint venture for real estate development between two private corporate entities. To provide greater ease of mind for buyers and assurance of its commitment to deliver, collection of first monthly instalment payment (after the initial down payment) will commence only on the date of piling permit. 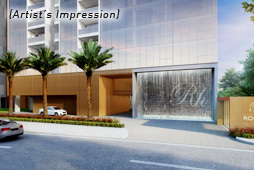 Rosehill Residences is a luxurious condominium with 9 individually designed units on a typical floor. 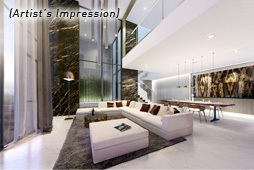 Sophisticated and modern in its look, it integrates with the surroundings while it will also stand out in the new skyline of the fast-changing city. 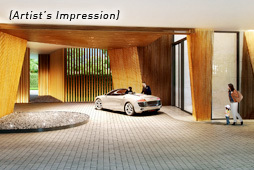 The architectural language is minimalist and essential, contemporary in its carefully designed simplicity. The large curtain wall glazing dramatizes the views from the units and generates an outstanding façade. The unit layout is compact and efficient, corridors and distribution spaces are reduced to the minimum in order to make most of the space usable. It consists of 3, 4 and 5-bedrooms, either dual-key or duplex, penthouses, and especially notable, the sky villas that are extra-luxury units sitting on 3-storey, including a private rooftop with a swimming pool.